Welcome to the Big Island West Shore resorts and condos. You can experience village life on the rugged coast of the Big Island West Shore. Let us help you plan your trip to the Big Island West Shore. Call our vacation expert for a free consultation. Select a Kona hotel or condo for your stay in Kailua Kona Town on the Big Island. One of the best destinations for visitors who want to experience the feeling of local Hawaiian life styles. Families still earn their living by fishing, farming and living the traditional lifestyles of Hawaii . Stroll along the ocean front setting with shops, dining, museums, art galleries, the Queen’s Palace, the original stone church with steeple and bell, and so much more. Ocean activities are abundant all along the Kona Coast. Walking distance from Kailua village, the Royal Kona Resort overlooks Kailua Bay. The oceanfront setting features a private beach with a lagoon and pool area. Check rates on the ocean front corner room. It has two balconies with views to the north and south. Oceanfront in Kailua-Kona. The Marriott is on the only white sand beach in the Kailua Village district. Known locally as the “King Kam” this location was a favorite spot for vacationing among Hawaiian royalty. King Kamehameha’s Kona Beach Hotel has been renovated recently and is a good choice for beachfront accommodations in Kona Town on the Big Island. The Sheraton Keauhou Bay Resort and Spa is on the cliff overlooking the Keauhou Bay. 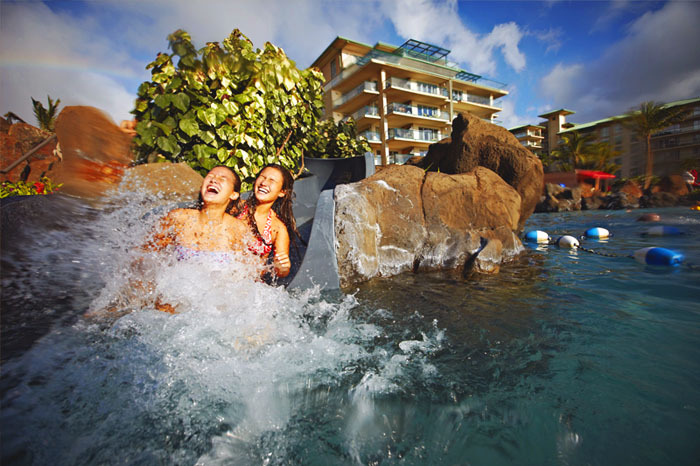 The Keauhou Bay Sheraton is a good choice for budget and adventure travelers who want a 4 star resort with a water slide for the children. The closest beach is at the boat harbor, a short walk but much easier to go in the car. It gets hot in this region. This 3 star Condo Kailua Kona is in Kona Hawai. All suites are elegantly furnished and have fully equipped kitchens including microwave and laundry facilities. Enjoy spectacular views and sunsets from your ocean front lanai. 1 bedroom or 2 bedroom. Located on a volcanic point the Kanaloa offers gorgeous views from bungalow style, low rise suites with full kitchens. One, two or three bedroom units surrounded by 18 hole golf course. 4 miles south of Kailua Kona Village. A luxury all-suite resort offering completely equipped condominium units including microwaves, dishwashers and laundry facilities. Also enjoy the many outdoor activities available. 1-Bedroom or 2-Bedroom. 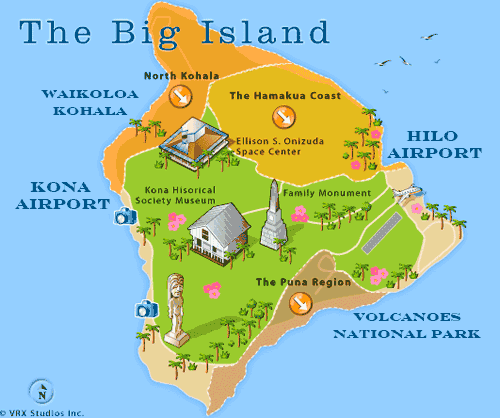 See also pages for Hilo Hotels and Kohala Resorts. Thank you for requesting more information. We will contact you.